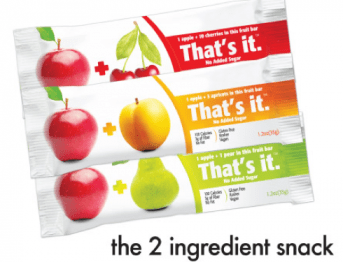 Like the That’s Facebook page, to print a coupon for a FREE That’s It Bar redeemable at Whole Foods! Coupon for one free That’s it. fruit bar. Valid at participating Whole Foods stores in the US. No purchase necessary. One per person. Valid at US Whole Foods stores only. Expires 1/31/12. Whole Foods: Whole Chickens just $1.29/lb -Today Only! 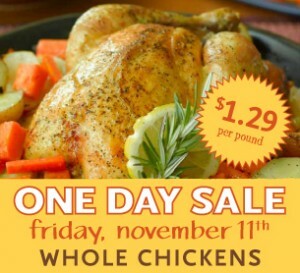 Today (11/11) Whole Foods will have their whole, uncooked chickens on sale for $1.29/lb! That’s great news, especially for all the Holiday cooking and cold-weather soups we have to make. There is a limit of 10 per person. https://savvywifehappylife.com/wp-content/uploads/2016/09/SavvyWifeHappyLife-logo-2.png 0 0 Brandi https://savvywifehappylife.com/wp-content/uploads/2016/09/SavvyWifeHappyLife-logo-2.png Brandi2011-11-11 09:00:242011-11-11 01:30:09Whole Foods: Whole Chickens just $1.29/lb -Today Only! Whole Foods: Whole Chickens just $1.29/lb -Tomorrow! Tomorrow (11/11) Whole Foods will have their whole, uncooked chickens on sale for $1.29/lb! That’s great news, especially for all the Holiday cooking and cold-weather soups we have to make. There is a limit of 10 per person. https://i1.wp.com/savvywifehappylife.com/wp-content/uploads/2011/11/whole-foods-chicken-sale.jpg?fit=300%2C273&ssl=1 273 300 Brandi https://savvywifehappylife.com/wp-content/uploads/2016/09/SavvyWifeHappyLife-logo-2.png Brandi2011-11-10 15:12:182011-11-10 15:15:21Whole Foods: Whole Chickens just $1.29/lb -Tomorrow! *HOT* $10 for a $20 Whole Foods Gift Card! I’m late on posting this deal, but the site was so slow earlier today! Anyway, you can score a HOT deal on LivingSocial today! One of the biggest concerns with new couponers is wanting to save money while buying wholesome, healthy food at the same time. I know many of you love Whole Foods (Can you believe I STILL haven’t been there?!) and today you can score an awesome deal. 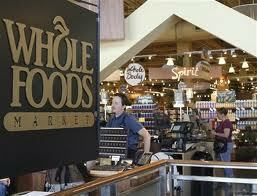 Before it sells out, you can buy a $20 gift card to Whole Foods for just $10! So evening if you go shopping with zero coupons, you’ll still save 50%! Discounted gift cards are an awesome gift as well! People will have no idea you only spent $10 on their $20 gift card. The limit is one per person unfortunately, but buy this gift card NOW if you’re interested. https://i0.wp.com/savvywifehappylife.com/wp-content/uploads/2011/09/wholefoods.jpg?fit=1224%2C792&ssl=1 792 1224 Brandi https://savvywifehappylife.com/wp-content/uploads/2016/09/SavvyWifeHappyLife-logo-2.png Brandi2011-09-13 14:16:552011-09-13 14:16:55*HOT* $10 for a $20 Whole Foods Gift Card! 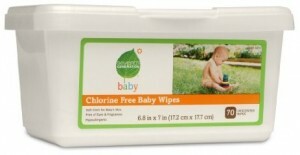 Here’s a great wipes deal at Whole Foods! TODAY (7/8) only, Whole Foods has Organic Cherries on sale for just $2.99/pound! Yummy! I wish someone would take me to Whole Foods! Whole Foods Organic Blueberries only $1.99 a pint -TODAY only! Today (Friday!) Whole Foods is having a great sale on Organic Blueberries -Only $1.99 a pint! This is about the price non-organic blueberries go on sale for around here so this is definitely a great deal to catch. Don’t forget you can freeze those berries! They are great for smoothies and snacking. https://savvywifehappylife.com/wp-content/uploads/2016/09/SavvyWifeHappyLife-logo-2.png 0 0 Brandi https://savvywifehappylife.com/wp-content/uploads/2016/09/SavvyWifeHappyLife-logo-2.png Brandi2011-06-17 10:26:152011-06-17 01:27:19Whole Foods Organic Blueberries only $1.99 a pint -TODAY only! 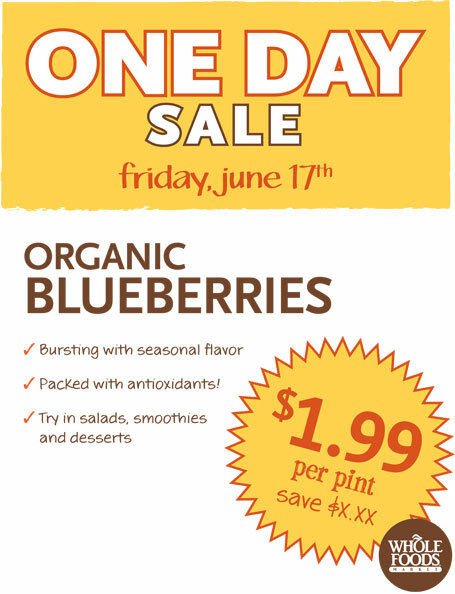 Whole Foods Organic Blueberries only $1.99 a pint -Friday only! Tomorrow (Friday!) Whole Foods is having a great sale on Organic Blueberries -Only $1.99 a pint! https://i0.wp.com/savvywifehappylife.com/wp-content/uploads/2011/06/blueberries1.jpg?fit=455%2C594&ssl=1 594 455 Brandi https://savvywifehappylife.com/wp-content/uploads/2016/09/SavvyWifeHappyLife-logo-2.png Brandi2011-06-16 15:00:592011-06-16 00:45:42Whole Foods Organic Blueberries only $1.99 a pint -Friday only! Here are some Whole Foods matchups. Make sure to check your local ad in case there are price/sale differences.